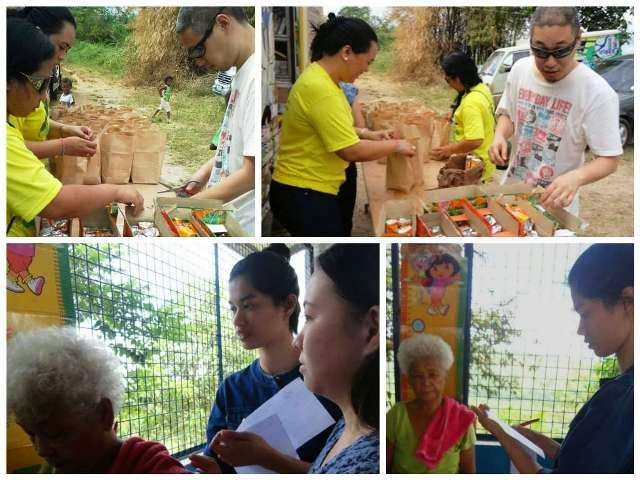 "On Sunday, December 8, 2013, a humble giving back of blessings to our brothers and sisters from Mabalacat, Pampangga was made possible with the facilitation of the VIDES group. That was the first time we met and joined the VIDES group. They welcomed us, the new individuals, warmly in helping them pass on the hopeful energy to the community in Mabalacat. Seeing the faces of everyone in the said community made us feel more motivated to reach out to those in need, and to fully serve our brothers and sisters who seek for other people's guidance in order to conquer their misfortunes."